Some are skeptical, but big majorities say machine learning could dramatically impact their line of work, according to new research. You've probably heard that artificial intelligence and machine learning are set to transform healthcare with advances that were once hard to imagine. And you may have read that some think it could be changing the ways clinicians work in real and profound ways. Among the jobs, many expect to be most impacted: radiologists. A new report from Reaction Data takes a closer look at the state of "Machine Learning In Medical Imaging," polling radiology leaders to find out what they really think about all the hype, how the adoption rate has increased, what applications are most in use and which AI vendors are top of mind. "There are dozens of new companies claiming machine learning acumen especially in the field of medical imaging," said Reaction Data researchers. "At RSNA 2017 the most prevalent topic was machine learning and how much of an impact it will really have on the practice of medicine and on the business of healthcare overall." But as with many healthcare technologies nowadays, "there comes a certain element of healthy professional skepticism. How truly useful is AI? Where is it most useful and applicable? Are organizations really going to pay for it? And if so, how will they do so with the many downward cost pressures they face? " Among the report's findings: a large majority of those imaging professionals polled – mainly directors of radiology from acute care organizations but also imaging directors, radiology managers, PACS admins and some imaging center employees – say machine learning is either "important or extremely important” in the field. Just 16 percent say they aren't yet convinced it will have much of an impact. As for concrete adoption plans, most hospital radiology departments and imaging centers say they expect to avail themselves of machine learning tech within the next two years. Only 16 percent of imaging professionals say they have no plans for deployment. Interestingly, when it comes to those who are already using ML, the report finds that "there has been very little adoption by imaging centers; all of the adopters are hospitals. This is something we did not expect, as oftentimes imaging centers are less risk-averse than are their hospital counterparts. " Reaction data asked those imaging professionals who aren't enthused about machine learning why they're reluctant to embrace the technology. Their top responses: Unsure of its usefulness right now (46 percent); We just aren't that forward thinking (39 percent); Humans are better than AI (15 percent). "We won't commit to new improvements until they have been clearly tested," said one respondent. "My experience is that machine learning doesn't have the ability to understand the nuances of various findings in individual cases and thus is prone to making mistakes, " said another. There's been a lot of speculation recently that machine learning might soon lead to "radiologist" joining "milkman" and "telegraph operator" on the list of obsolete careers. 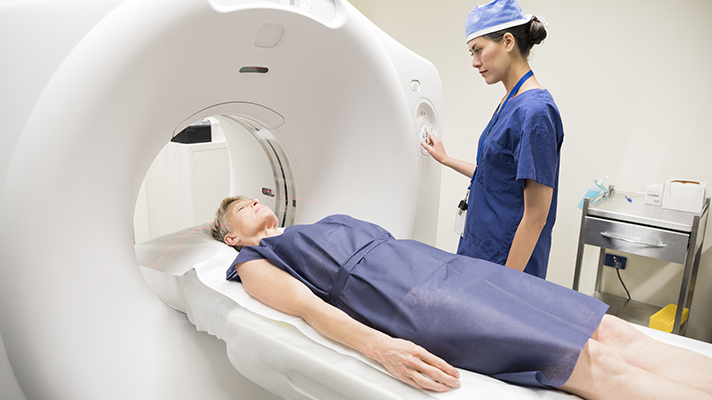 While it may still be a bit early to prepare for the wholesale replacement of human radiologists, it's certainly worth thinking more about how the job will evolve in the years ahead. "No human being is going to be able to read a radiology PACS image nearly as well as a computer would, just because the pixelation gets down to such fine points that our eyes can't see it," said Jeff Axt, project manager and systems analyst in the IT department at the Hospital for Special Care in New Britain, Connecticut, in a recent interview. But that doesn't mean all-seeing and omniscient artificial intelligence is coming for radiologists' jobs tomorrow, he said. Instead, the technology should be seen as a knowledgeable (but not infallible) assistant. "I look at the AI as a consult," said Axt. "Something that has skill sets and abilities, not quite to the level of the physicians or the radiologist, but certainly to the extent that there is value to that input. The clinician is still the key decision-maker, but it's still incumbent upon me as a radiologist to look at that: The computer is telling me this, but I'm going to evaluate it with my brain. That's the difference. Radiologists are not going to go away. Their roles are going to be different."